The State Hunting Enterprise “Dikchan” in cooperation with local authorities implemented this project with the aim to afforest non-agricultural land and protect the land from the risk of erosion and desertification. The State Hunting Enterprise “Dikchan” is located on 40 000 ha in south-western Rhodope mountains. Half of the territory is occupied by high quality coniferous and deciduous forests with major types of white and black pine, spruce, fir, beech and oak. Animal species typical of the Rhodope region, such as wild boar, red deer, fallow deer, grouse, and some predators, populate the area. Being the area at risk of erosion and desertification, the company in cooperation with local authorities decided to implement this project to preserve the forest. The main objective of the project was the reforestation of 8.6 ha of barren land, which have been at risk of erosion and desertification. The project activities that benefited from the EAFRD support included: i) clearing the land for afforestation; ii) soil preparation such as hand making terraces, ditches and fields; iii) afforestation; iv) fencing the afforested areas with wooden fence to protect the new plants; v) maintenance and care of the forest stand (depending on the altitude, plants are cultivated from 3 to 5 years of age). The definition and implementation of such project contributed to draw lessons for enhancing the capacity to develop future quality proposals and improving forest ecosystems’ stewardship. 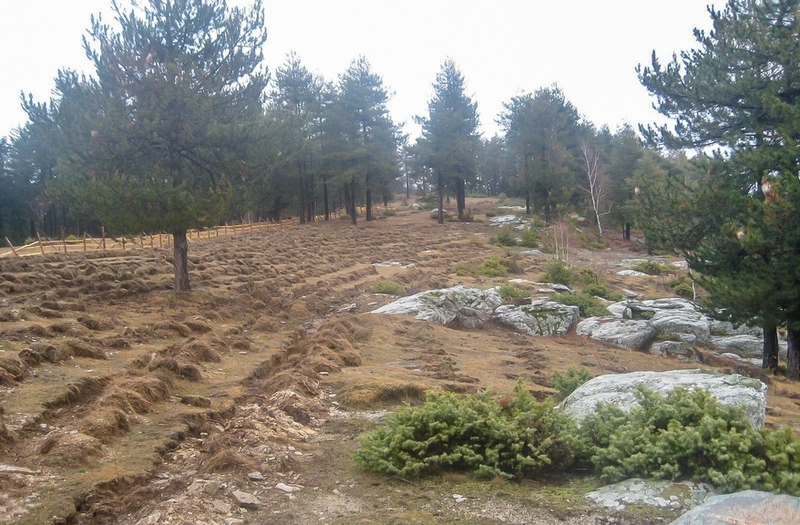 Under measure 223 of the Bulgarian RDP, the terrains that are afforested are those within aforest management plan and which have not been regenerated naturally. These include barren areas that were not reforested for the last 15 years.